I love fish tacos and I really love seared Ahi Tuna, so when I saw that Fishbox had Ahi Tuna tacos, I knew that’s what I was getting. Ahi Tuna tacos from a food cart? It does seem risky, but I just tell myself that if they had any issues they wouldn’t be around for long. I actually discovered this place a few weeks back when a group of us stopped to eat. I ate at Viking Soul Food. When we all sat down and began to look at what everyone got I was shocked to see ahi tuna tacos. I hadn’t even seen the truck and I immediately had taco envy, she shared a bite, but I wanted more. Fast forward a few weeks and I have my own plate. 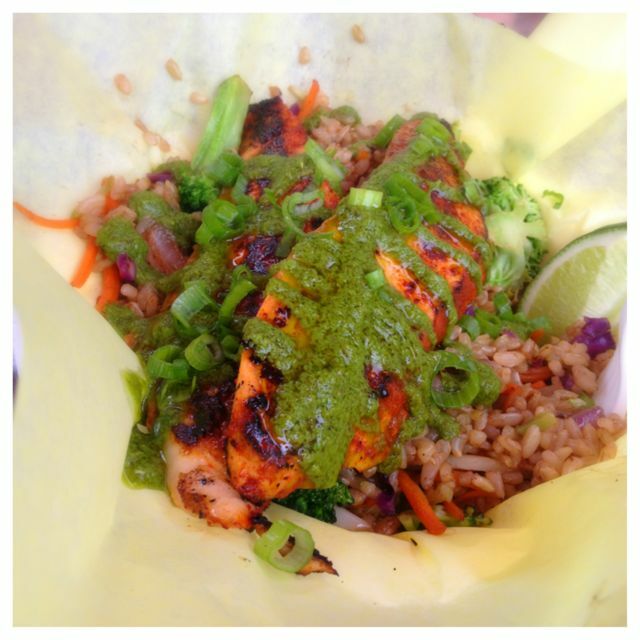 I didn’t stop there I also ordered the Salmon bowl with brown rice and fresh veggies. First off, as you can see by the pic, the tacos had great presentation! They were also much larger than anything that I have had at a restaurant, so grabbing these 2 seared Ahi Tuna tacos for just $7 was a steal. They did have a bit of a kick to them, but the flavors were perfectly matched with the slaw that it was served with. The Salmon bowl was also exceptional. I am glad we shared both and I got to enjoy both. It was filled with lots of veggies which I loved, and it packed just enough heat. I did read a review from someone saying that if you are sensitive to heat, just have them tone it down a bit. I thought it was perfect, but a good suggestion for those that don’t like the heat, because you do not want to miss this food cart. I will be back. I have heard the carnitas are great, and I want to go back and see if it’s true. Have you tried the carnitas? Atmosphere at this whole food cart pod is very quaint. There are lots of tables around, plus an open and covered area and a fully enclosed covered area for when weather is not so good. Pricing is exceptional for the items they serve. Service is awesome. They are good about helping you choose things and they don’t rush you. Fishbox is located at the Good Food Here pod on 43rd and Belmont. I will personally tell you that the carnita tacos are the best thing I think I’ve ever eaten anywhere let alone at a food cart! Exceptional service and absolutely the best price for the quantity of food you reciece!! The best food cart in Portland by far. I LOVE! Good to hear. We want to try those next time we go back. I have heard that same comment more than once. 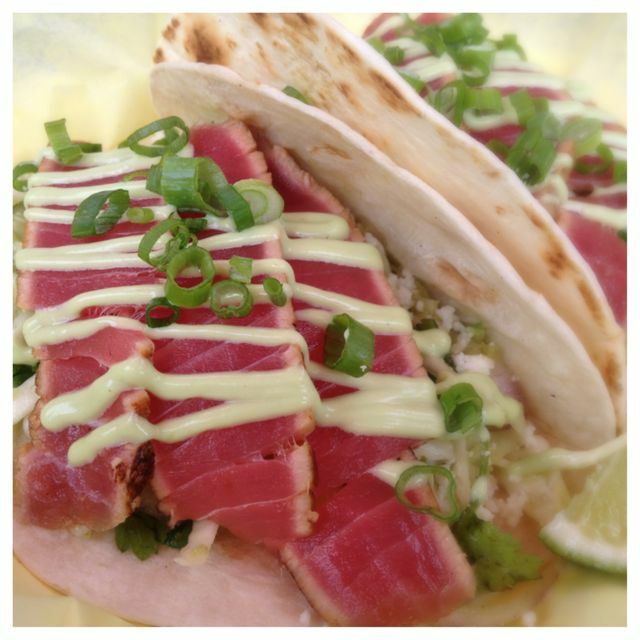 But those ahi tacos are so fabulous, how to choose…..